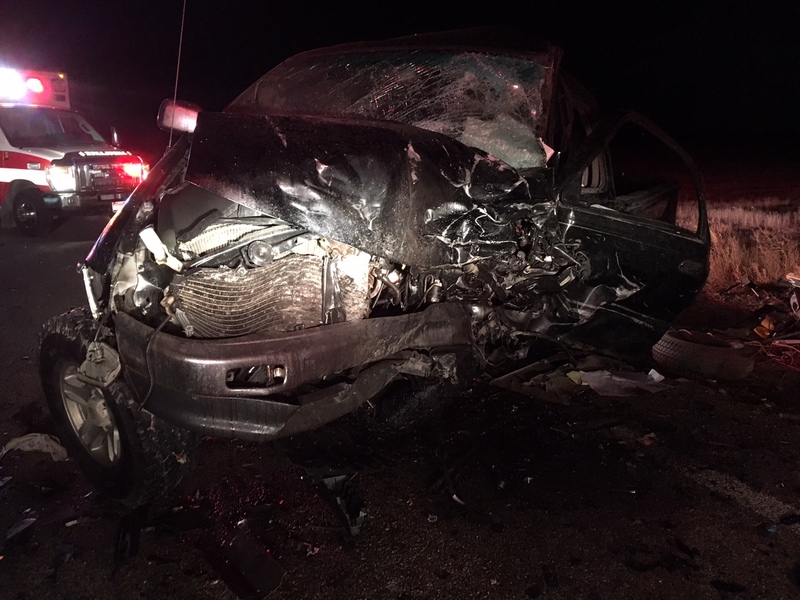 A 56-year-old Kuna man died after his pickup truck collided with another pickup truck on Kuna Mora Road Tuesday night. The 34-year-old driver of the other truck was taken to a local hospital by air ambulance. He is being treated for what appear to be serious but non life-threatening injuries. Initial information indicates Donald K. Shaw was driving westbound on Kuna Mora Road, just west of the Pleasant Valley Road intersection, around 5:45 p.m. when his truck collided with a truck going eastbound near the middle of the road. The force of the impact was significant as both trucks were demolished in the crash. Donald Shaw, who was pronounced dead at the scene, was not wearing a seatbelt. The two people in the other truck were wearing their seatbelts. The passenger in the other truck avoided serious injury. The portion of Kuna Mora Road west of the Pleasant Valley Road intersection was closed for several hours. The crash occurred very close to the center line of the road and investigators are still working to determine what happened. It was raining at the time of the crash but it is unclear at this point if weather was a contributing factor in the crash.